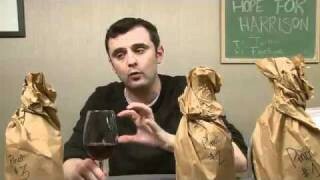 Gary Vaynerchuk tastes an interesting Pinot Noir from the Niagra Escarpment of New York State. QOTD: Loire Cab Franc's with Veggies. So much so, that I think I need to try some other options. 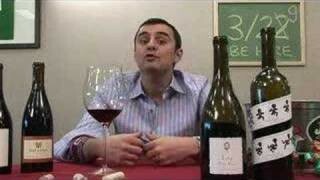 I'm sure a Gigondas like Lizzy43 mentioned would be great! Came across, and bought, a 2000 Fleury Gigondas today – very excited to try that tomorrow night! Love the length of this episode. QOTD: I have no idea. Something I will have to experiment with. I like that New York has moved from grape juice vines to wine vines in so many areas. Especially like the Niagara grape itself. 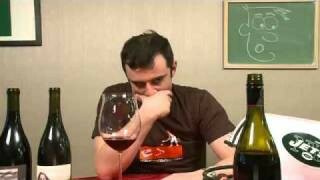 QOTD: Veggie wine? ok, so this came from the pickle smell? ha. Gewurztraminer or Meritage Blanc. QOTD: I guess it would be a light crisp white like Three Stones Sauvignon Blanc or a white Rioja or a Vinho Verde. Or most likely a Samuel Adams Summer beer!!!!! Tis the season. 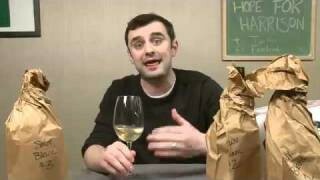 qotd: red – cab franc, white – sav blanc, put that together and, well, I don't really think of cab sav w veggies, but whatever. You're right Gary, and I have no prob w the guests, but for a guy who said he was gonna ease up on the guests, it almost seems like you're trying to break a record w them this year. QOTD: Gotta agree with some of these posts about a Loire Cab Franc with cooked veggies at least. For salads, I'd probably go more for a rosé or maybe a slightly chilled Beaujolais cru. 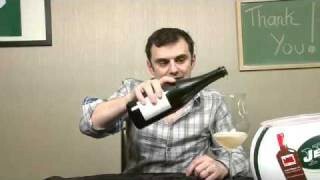 For spicier fare, maybe Riesling or bubbles? 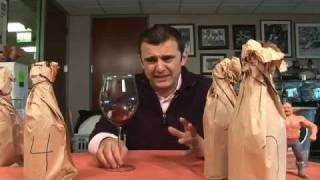 GV – Check out Dr. Frank's pinot, but preferably the odd years! Pretty decent stuff! GO MOTT! QOTD: I like Sauv Blanc with asparagus and bell peppers! QOTD: I like mine grilled with a Pinot Gris or a ZaZa Rosé (from Campo de Borja). Love a good Vinho Verde!! QOTD: I rarely have just veggies for dinner, but if having a salad, its gonna be a white, and something interesting. Just something to spice up the meal, since to me veggies are just ok. Probably a riesling, or possibly an attempt for me to find a Rose I like. First time leaving a comment for me here… I just signed up for the video podcast and I saw this episode. I got engaged this past August at Niagara Falls ( canadian side). My fiance and I went wine tasting for the first time up there. 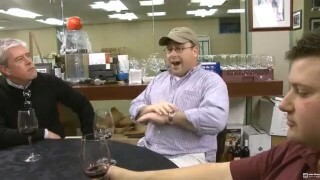 We had such a blast and I was hoping you could do a show on some of the Rieslings and/orGewurztraminer from the region. Love the show and the sniffy sniffy! Tough look on missing the call there with the pickles. My best friend once came up with the best saying when I was having a little trouble getting dances from the ladies, and it holds true here as well. 'If you swing enough times you'll eventually hit a homerun.' I think that's the case with Mott. No offense dude, but you aren't going to steal gv's thunder anytime soon. Qotd: Ironically I'm going to say either a champagne or chardonnay. Because veggies are so clean, something fruity yet a little goupy or sugary contrasts nicely with the freshness and cleanly-ness of the veggies. you should man, it makes you feel ten times better. i used to be like you and now i need my regular diet of veggies or else i feel like crap in the food processing area. No doubt! My diet is absolutely horrible. Glad to see you recycle, Gary! I swear, ODD coincidence I watched these two episodes back to back and picked up on that. I am not the undercover fashion police, I swear. Serious…I swear, I swear, I swear. I swear as much as you, apparently. Mott's tastebuds are every bit as good as Gary's and everyones taste buds are different. 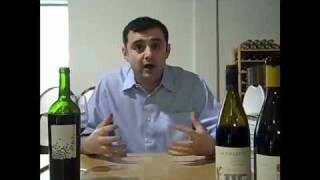 Gets ya thinkin how much Gary's take on a wine might differ from you and me doesn't it? 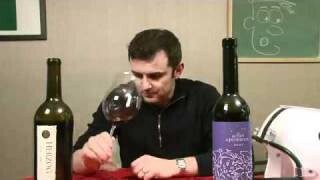 Might be fun to have three people tasting and rating the wines on several episodes. Maybe even the same three for a control experiment…then we could buy the wines and see whom we can liken ourselves to for future tastings. Interesting little show. I think I may have visited this winery a few years ago when I was visiting family up in the Buffalo area. At least, we visited a winery on the Niagara Escarpment that produced only Pinot Noir and when I tasted it, I said it was very weird, but very well-made. I didn't buy any, but I seriously considered it because it was so different. 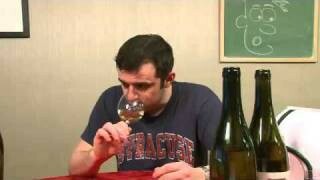 Vinho Verde is a good one too. Many older people have fond memories of receiving a pair of cheap nike shox running shoes back in the mid-70s, and they?ve only gotten better since. Today, it?s not unusual to see grandmothers sporting a pair of nike shox outlet. Pinot Noir is my favourite vine. I love it.